Explore ways to use a gender lens to assess products, companies and sectors. Women are one of the world's greatest underutilized assets, and applying a gender lens allows you to identify companies that recognize this, or uncover the risks of companies that neglect it. A gender lens adds value across the investment community, but the impact reaches far beyond the bounds of portfolios to the economy and society as a whole. 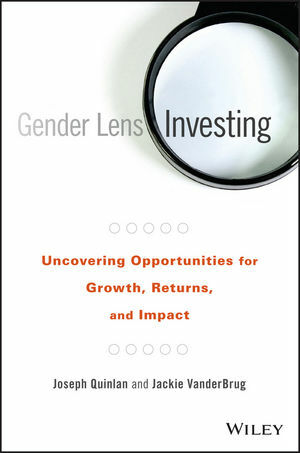 Gender Lens Investing provides expert perspective and real-world practical insight for investors looking to drive returns and impact. Joseph Quinlan is managing director and head of Market and Thematic Strategy for the Global Wealth and Investment Management (GWIM) division of Bank of America. He is the author of The Last Economic Superpower. Jackie VanderBrug is managing director and Sustainable Platform Lead for the Global Wealth and Investment Management (GWIM) division of Bank of America, where she co-chairs the Impact Investing Council.